As Mage Questor Grimm Afelnor continues his Quest to destroy the pernicious influence of the witch-nun, Lizaveta, he has no idea that the evil Prioress' inner coterie has abducted his secret lover, Drexelica. While Drex fights to retain her individuality in the face of relentless, savage torment, Grimm has to face troubles of his own, including the sullen opposition of the unpredictable Questor, Guy Great Flame. When the members of Grimm's party find themselves marked for sacrifice and imprisoned in a fortress immune to even Questor magic, the young mage has to consider highly unorthodox tactics in order to survive. Meanwhile, Lizaveta is training a new recruit: a human weapon of her own with which to beguile and vanquish the young Weapon of the Guild. 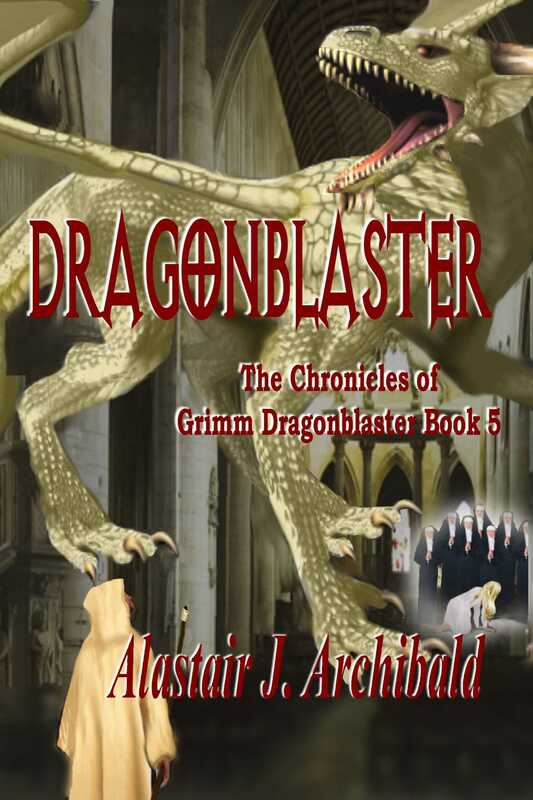 Genre: Fantasy / Action / Adventure Read the entire incredible Fantasy series from Alastair J Archibald! A MAGE IN THE MAKING [THE CHRONICLES OF GRIMM DRAGONBLASTER BOOK 1] WEAPON OF THE GUILD [THE CHRONICLES OF GRIMM DRAGONBLASTER BOOK 2] QUESTOR [THE CHRONICLES OF GRIMM DRAGONBLASTER BOOK 3] TRUTH AND DECEPTION [THE CHRONICLES OF GRIMM DRAGONBLASTER BOOK 4] DRAGONBLASTER [THE CHRONICLES OF GRIMM DRAGONBLASTER BOOK 5] THE DARK PRIORY [THE CHRONICLES OF GRIMM DRAGONBLASTER BOOK 6] and coming in March 2013, the seventh and final thrilling book, RESOLUTION [The Chronicles of Grimm Dragonblaster Book 7].